Experts are divided on whether or not to build a new international airport at Jewar in Greater Noida. Now we have it; now we don’t. Now we have it; now we don’t. And now we have it. I am talking about the endless flip-flop we have had on whether or not to build a new international airport at Jewar in Greater Noida. We now have a new government at the Centre and a new Minister of State for Civil Aviation who is yet again putting his weight behind this project that many have cremated and buried. People used to call Jewar Mayawati’s pet project but now it seems she has company. The proposal, of course, dates back even longer to 2001 when it was first suggested by then Uttar Pradesh Chief Minister Rajnath Singh. Mahesh Sharma, Bharatiya Janata Party (BJP)’s member of Parliament from Noida who has just taken charge of aviation, argues that there is no reason why a city like Delhi cannot, like London, have more than one airport. Just like London has Stansted and Gatwick, he wants Delhi to have Jewar. The fact that he is BJP’s member of Parliament from Noida, of course, explains his interest in the project. He has, however, overlooked the fact that London is a global hub and the city has a total of six international airports (Heathrow, Stansted, Gatwick, Luton, LondonCity and Southend) not one. Besides these, there are another 17 airports that serve London (some outside the city) for general aviation and smaller aircraft. In 2011, these airports together handled 134 million passengers. In 2013, Heathrow alone handled double what Delhi airport did. Gatwick was closer in terms of numbers to Delhi. He has also overlooked the fact that there is a rule that prevents the building of the new airport within 150 km of an existing one (the distance between Delhi airport and the new proposed site is 68 km) unless the latter is operating at capacity and is unable to cater to the demands of the city — as is the case with Mumbai city and, therefore, Navi Mumbai. The idea is that there is no point in dividing traffic between two facilities that are quite close to each other and ending up with two financially weak entities. In this case, Delhi has plenty of land and can happily expand all it wants. The airport has 6,300 acres and, therefore, no shortage of space. It has plans to expand its handling capacity to 100 million by 2030. If anything at all is needed, it is to improve access to the airport. Barring from South Delhi or Gurgaon, it can take up to two hours to reach the airport from anywhere else in Delhi. The problem is more in reaching the airport – and, therefore, management of traffic within the city that needs urgent attention and access to the Delhi airport – rather than a competing international facility in Greater Noida. If the government doesn’t think it can solve Delhi’s traffic snarls, then maybe it can consider a small, low-cost domestic terminal at Greater Noida. But surely not a large international airport. What is also irksome is that more often than not, political weight thrown behind such projects is more due to other factors like what it can do to land prices in the region (quite often politicians themselves hold the largest and most lucrative land parcels) or the interests of a particular corporate group than the benefit it could bring to ordinary citizens of the country. So instead of debating what has already been debated, I have a suggestion: Why doesn’t the good minister visit Chennai, Kolkata and stop at Goa, while he’s at it, to see how the situation at these three Airports Authority of India (AAI)-run and managed facilities can be salvaged. Shaky structures, cracked glass panels, filthy dustbins and toilets, inaudible announcement systems — the three airports are an embarrassment and are begging for the urgent attention of not just Sharma but the entire Cabinet. 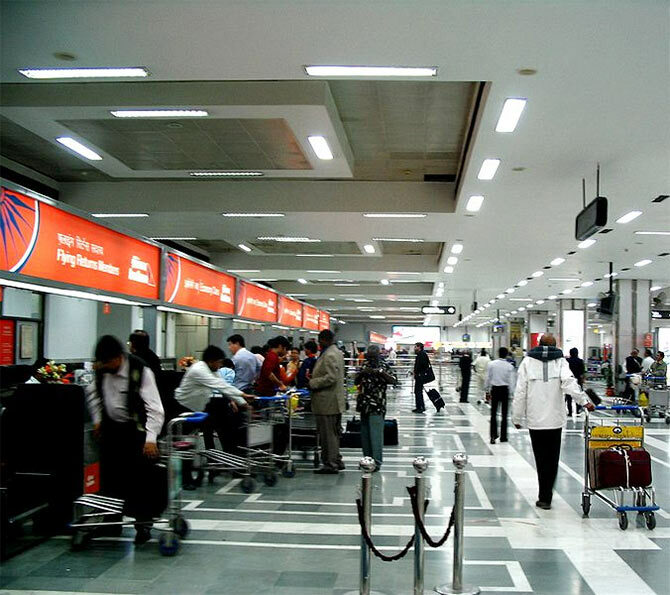 Often, passengers complain that the user charges and fees charged by the private airports – and now even some of the newly modernised AAI airports – are prohibitive and can pinch. How about looking at why passengers are saying that and whether anything needs or can be done to moderate what user development fees that are charged. There is a host of other, smaller second-tier airports – 35 of them – around the country that the United Progressive Alliance-II had been planning to upgrade and improve and it’s not clear how far they got with that. But anyone who visits any of these 35 airports can come up with a long list of suggestions on how to make the airport and the access to it better.